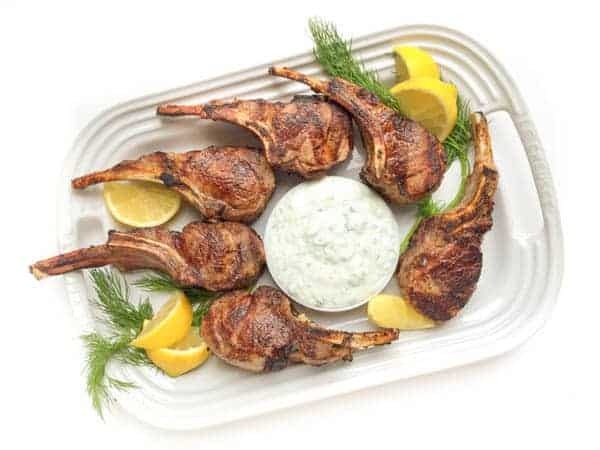 A fast 15 minute meal, your family will love these tender, grilled lamb chops served with a cool and creamy Greek tzatziki yogurt cucumber sauce. Lamb is a very popular in Middle Eastern cuisine so it likely doesn’t surprise you that I’m a huge fan of it. We grew up eating ground lamb rolled into lemony Lebanese stuffed grape leaves and stuffed into warm, freshly baked meat pies. I love it roasted, stewed (typically with green beans in a tomato sauce), broiled, formed into a burger, you name it! But when the weather heats up and it’s too hot to be in the kitchen, you better believe I’m grilling it. Naturally tender with a decent amount of fatty tissue, lamb is ideal for throwing on the grill. 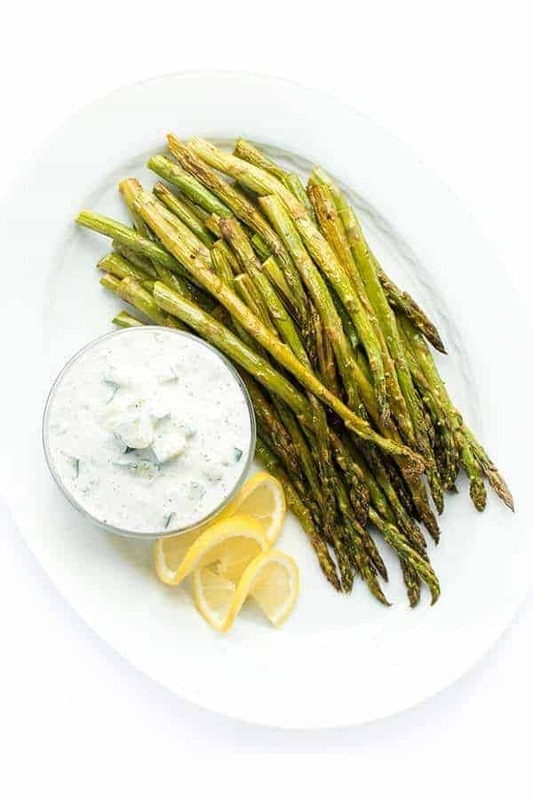 As the meat cooks it becomes caramelized and slightly charred, perfect for dipping into cool and creamy Greek tzatziki yogurt sauce. Quick cooking tip: I love using my microplane for grating garlic into marinades, salad dressings, yogurt sauces and more. 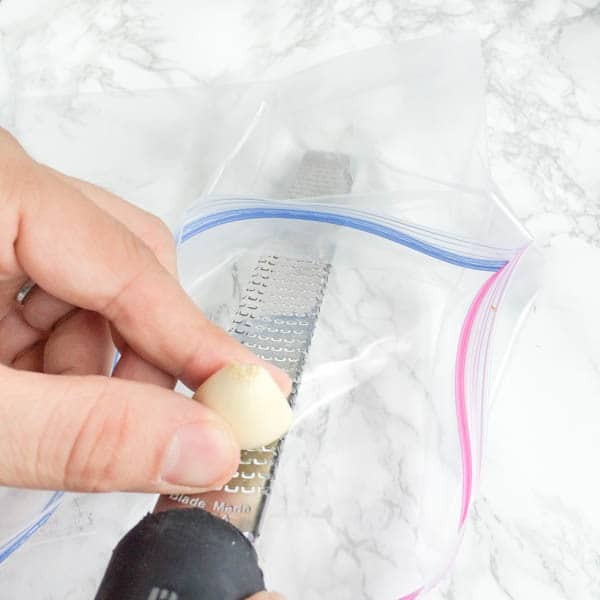 There’s no need to dirty a cutting board or knife and the finished dish won’t have any large chunks of garlic. This is especially important when you’re eating raw garlic which happens to also offer the most health benefits. 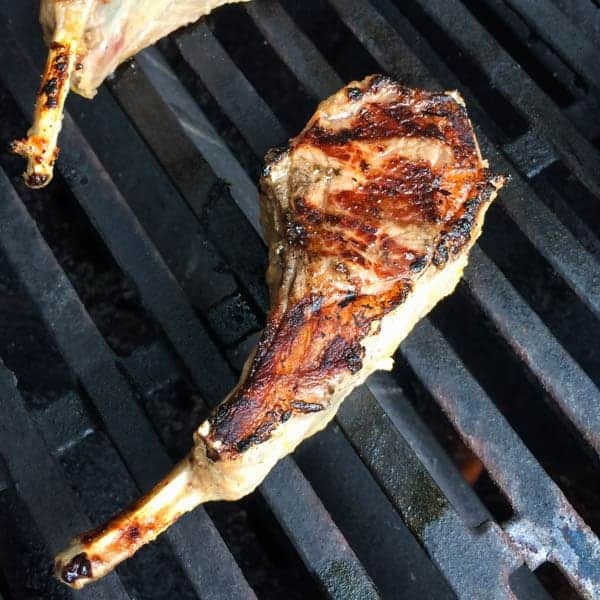 Have you ever tried lamb before? What’s your favorite way to prepare it? Place lamb chops on a large platter and pat dry with paper towel. In a large re-sealable plastic bag or glass dish, combine lemon juice, olive oil, garlic, salt and pepper. Add chops to the bag and seal. Move bag around to make sure lamb chops are evenly coated with marinade. Marinate meat for 30 minutes or up to overnight. When you’re ready to grill the lamb, let meat sit out at room temperature for 20-30 minutes and pre-heat grill to medium-high heat. Grill 4-5 minutes per side or until meat thermometer reads 155 degrees. Remove from heat and let rest 10 minutes before serving. 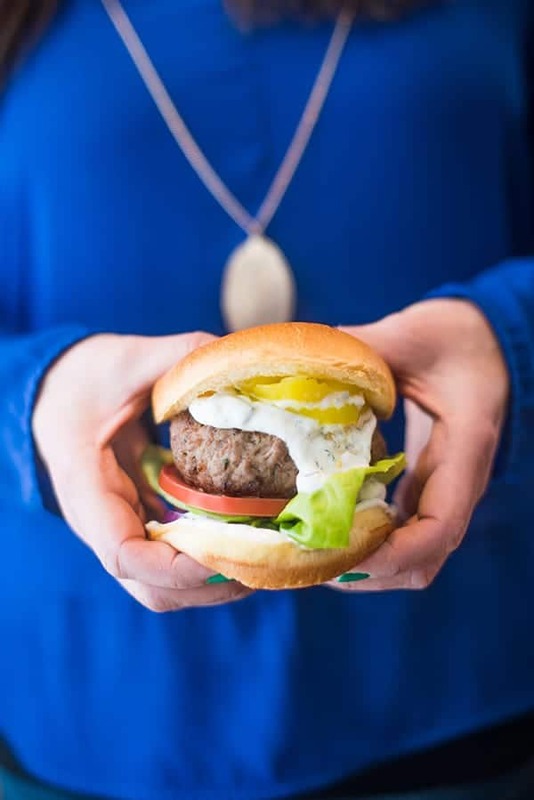 While lamb is resting, make the Tzatziki Sauce by combining all ingredients in a medium bowl. Check for seasoning and adjust accordingly. 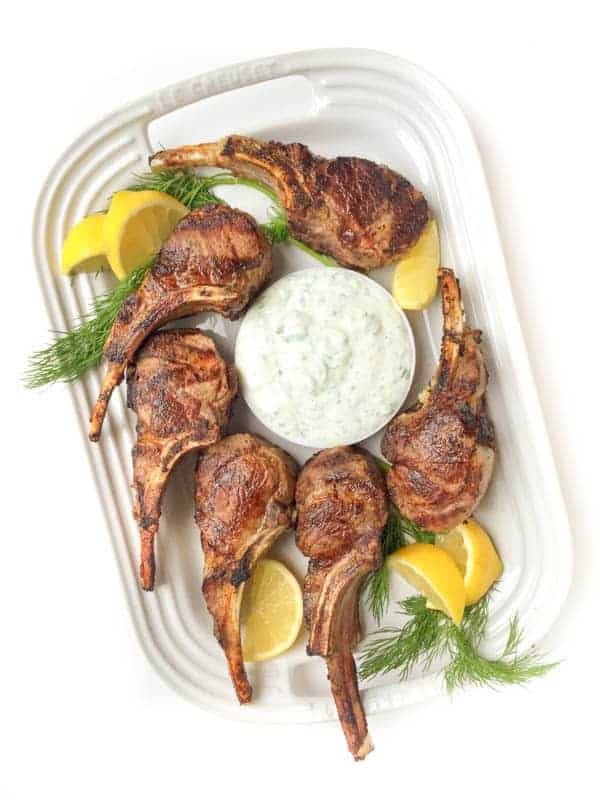 Serve lamb chops with Tzatziki Sauce on the side. DID YOU MAKE THIS RECIPE?If you tried this recipe I would love to see it and have you share! Tag me at @thelemonbowl on Instagram using the hashtag #thelemonbowl! Looking for more simple dinner ideas? You’ll find plenty on my Healthy Entrees board! Follow The Lemon Bowl | Liz Della Croce’s board Healthy Entrees on Pinterest. The tzatziki is really light and ref 00004000 reshing, makes the lamb less greasy. Have them in pita bread, also made the griddles courgettes with pine nuts and feta from the goes well suggestion below, lovely lovely lovely summery Greek feast! Hi Nancy – I would broil them for 3-4 minutes per side! Hello, my comment is about the tzatziki sauce. I have been wanting to make some for such a long time and I paired it with another one of your recipes (the souvlaki kabobs). I made it exactly as you wrote it, although when I squeezed my lemon it was just a little shy of 1/4 cup of juice. And despite that shortage I found it quite tart. I have had this kind of sauce before and don’t remember it being so tart. Is it supposed to be? I ended up adding a little white sugar to offset the tartness. I totally agree with you, when the weather is hot is time to turn on the grill. Great great recipe! Isn’t that the truth Ana? I am a total sucker for lamb, particularly when it’s prepared Greek-style. When we finally get together, we have to cook a meal that involves these chops! Gosh I am too Dara!! I can not get enough lamb!!! I love lamb & we don’t make it enough around here. It usually happens when we have a big Lebanese family get together. These look awesome and I love the sauce to drizzle on there! Forget about mint sauce–tzatziki is where it is at! I recently discovered your web site. I love lamb, especially when we raise our own. Fresh is so delicious. 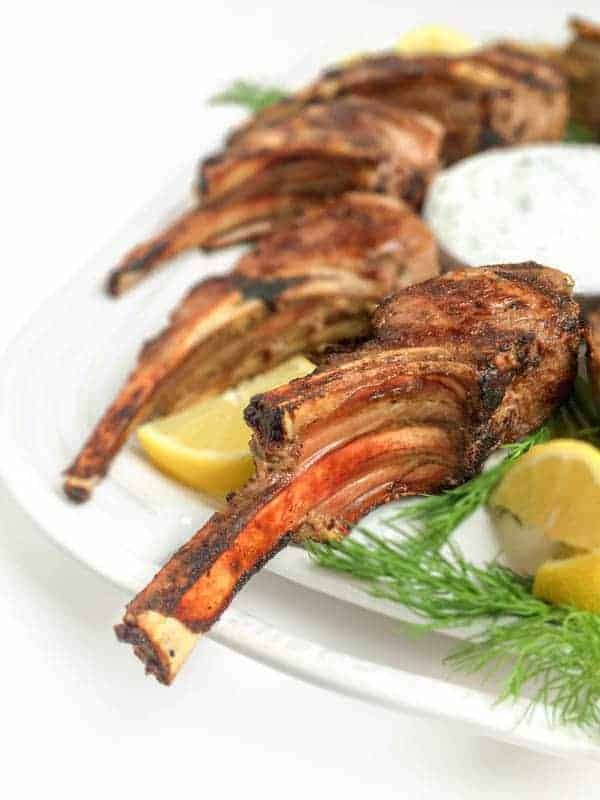 How thick are the lamb chops you used in this recipe? I’m so jealous you raise your own!! These chops were quite thick – I would estimate 2 inches? I love how quick and easy this is! I’ve never been a big fan of lamb but your is making my mouth water. It looks delicious! I may have to give it another try. You must give it another go – it’s so so good!! This looks really good! I don’t think I have ever ate lamb! You would love it Shawnna!! I urge you to try it!! Thank you so much Catherine!! I love lamb. I grew up eating lamb shanks with dumplings, and roasted leg of lamb with garlic slivers inserted in the meat. These days my favorite way to fix and eat lamb is Moroccan Lamb Couscous (from Nutmeg Nanny), which has the most exquisite favor combination I’ve ever encountered. I also am certain that your combination of lamb and tzatziki is in the same class. If I can find lamb chops (very difficult to find here), I’ll have to try this. Oh my gosh you’re making me drool! I need to check out that couscous recipe!! This recipe is great, although I did end up with major lingering garlic aftertaste from the tzatziki on the first evening we had this. It was much better tonight. Lesson learned is to make the tzatziki at least a day ahead, possibly two days, to allow the flavors to blend and soften. I really like how simple this is. Plus it keeps my husband in the cooking loop since he’s the one who grills (and he just got a new grill). I could not find lamb chops when I was shopping, so I bought a rack of lamb and just cut it up prior to marinating. That worked very nicely. This recipe will definitely be one we do fairly regularly. That is such a great tip!! I come from a family that always smells like fresh garlic – haha! Lamb is one of my all-time favourites. :) Great recipe and your photos are lovely. You and me both!! Thank you so much! That’s a great idea!!! Thank you Sarah! Totally one of my favorite things EVER to eat, whenever we go out to eat that is what I order on the menu. I have not however made lamb chops on the grill yet. Soooo… this recipe needs to happen asap! Welcome To The Lemon Bowl! Focusing on seasonal ingredients and whole foods, my collection of recipes is inspired by ethnic flavors from around the world.